DX Amsterdam: One Small Step For Man, A Giant Leap For Type 1 Diabetes | Life, Sport and Diabetes - An everyday look at my life with type 1 diabetes. 16 years ago when I was diagnosed with type 1 diabetes, it used to come with a long list of occupations that you were unable to do; they included being a boxer, an airline pilot, a firefighter, an ambulance driver, a nurse, a police officer... and the list went on. At the time, it wasn't so much that I desperately wanted to do those jobs, I was 13 and had no idea what I wanted to do. But the part that bothered me was that what if one of those jobs was something I could be really good at and I'd never have the chance to find out. Not because I wasn't good enough based on my ability, but because of this condition that I'd developed through no fault of my own. Fast forward a few years and barriers started being broken down, I've now met nurses myself who have type 1 diabetes and I've heard of policemen and women that have diabetes too. Which is exactly how I think it should be. It's also good to think that children diagnosed with diabetes now, won't have that exact same conversation and that future generations will have even more open doors. On the 'first day of the DX Amsterdam' blog that I wrote about, there was one speaker who I purposefully didn't mention in my account, because I wanted to be able to explain in context how meeting him had made me feel. His name is Josu Feijoo and he has type 1 diabetes. Not an unusual occurrence at an event for people with type 1. But what stopped me in my tracks was the fact that Josu has plans in 2018 to become the first many with diabetes to travel into space as an astronaut. Over the previous few years he's been participating in training with the Russian Cosmonauts and has been preparing himself for this incredible feat. 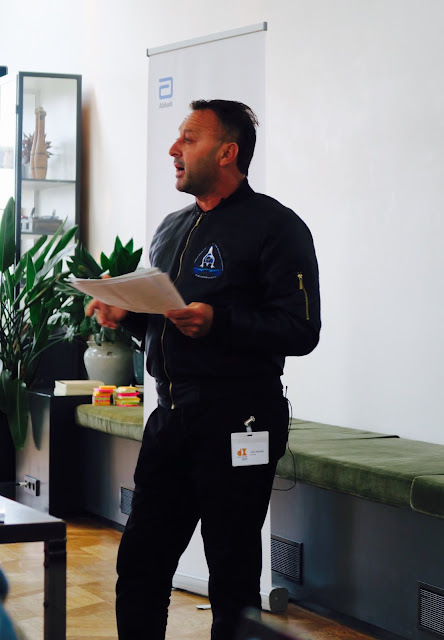 In the presentation he gave, Josu told us about how since being a little boy in Spain, his dream had always been to be an astronaut, a dream that when he was diagnosed with type 1 diabetes, his Dr was quick to point out would be an impossibility. Yet here he was, training and preparing for an event, most people with diabetes or not, could only dream of. Meeting Josu I felt a mixture of emotions, pride that one of the T1 tribe was taking this leap into space for all of us, joy that this would show the world what people with diabetes a really capable of (anything) and I even felt a little bit of grief. That generations of children who have grown up to be adults, might have felt that they needed to downsize their dreams to meet the 'limitations' of their medical condition. But here was living proof, that the future will be a very different place!